Seoul was devastated by the Korean War in the 1950s, but the city rapidly recovered and gained economic prosperity, thanks to numerous urban planning projects undertaken by the government. Photo credit: The Seoul Institute. The Urban Planning Information System is an urban planning and administrative tool used by city officials in Seoul, the capital of the Republic of Korea. The initial plan for the system dates back to April 1999. The project was implemented in two phases. The first phase was at the operational level, which largely alleviated the burden of simple but repetitive work of urban planning officials through computerization. This included civil outreach and routine management that involved notifications, approvals, and statistics, among others. All of Seoul's urban planning information, including urban planning decision letters and drawings, was computerized and disseminated across various institutions. The project also established a database using geographic information system (GIS) maps and a system where urban planners can input information in real time. The second phase was implemented at the managerial level. It built a system for collecting information for the database and supporting policy decision-making. The system enabled officials to concentrate on high-quality tasks and spend less time on simple tasks. After establishing the Urban Planning Information System, the city government also created the Seoul Urban Planning Portal, a website that provides citizens with quick and accurate information on urban planning and related projects. This service started in February 2011. As a megalopolis with a population of about 10 million people, Seoul rivals other metropolitan cities in the world in terms of population and economic scale. The Korean War devastated the city in the 1950s. Numerous urban planning projects undertaken by the government led to Seoul’s rapid recovery and brought the city to its current status. However, informing citizens about urban planning were conducted in a passive and perfunctory manner. Information on plans or decisions regarding urban planning was posted on bulletin boards in front of government offices or scattered in different websites. This made it too difficult and abstract for citizens to understand. Moreover, urban planning officials rarely shared any substantive information. As the country evolved into a democratic and open society, people became more interested in learning how an urban planning case is decided in their neighborhood. The bulletin boards and scattered urban planning information were inadequate, as the city grew big with a rapidly increasing population. Thus, the city needed a system to gather urban planning information, support rational decision-making, and disclose information to the public in a transparent and efficient manner. Urban planning in Seoul is on a massive scale and very complicated. The city established the Urban Planning Information System based on GIS mapping technology and the urban planning portal to inform citizens of urban planning decisions more efficiently. There were physical limitations to retain and manage paper-based documents. Some urban planning cases in Seoul take around 10 to 20 years to complete, thus, producing a large volume of administrative documents. Information sharing between departments, predecessors and successors, and the city government and autonomous districts is essential in making consistent, rational decisions in urban planning. However, using paper documents made it difficult to manage changes in work history. The city established the Urban Planning Information System, which computerized processes (i.e., from drafting to decision-making) and documents, and uses GIS maps and a three-dimensional modeling program. This enabled urban planners to share the information easily and make sound decisions. 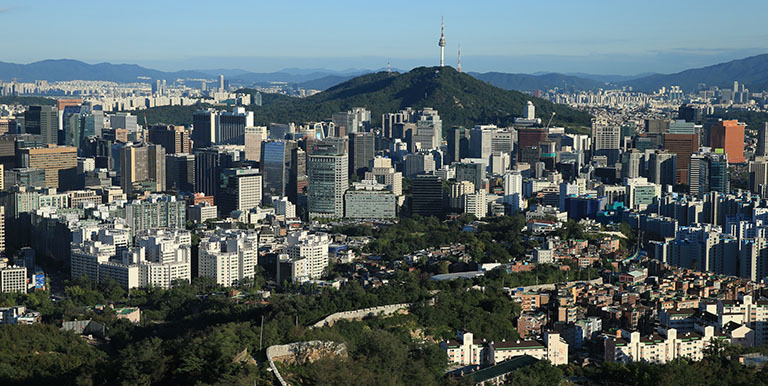 More than 1,000 urban planning officials of the Seoul Metropolitan Government and its autonomous districts are now using the Urban Planning Information System, which stores data on 146,000 projects. Information is delivered to citizens in real time through the Seoul Urban Planning Portal, SMS text messaging, and e-mail, using a publicly available application programming interface (Open API) and GIS maps. An average of 1,000 people visit the website. Furthermore, this system has made possible the consistent administration, prompt action, and sound decision making by urban planning officials, thanks to smooth information-sharing and easy access to urban planning information. The Urban Planning Information System received international recognition at the 2013 Future Government Awards. Seoul Solution. Urban Planning Information System.